Serve and Volley: Is It Still Applicable In Modern Tennis? Serve and volley is considered to be a favorite tactic for strong servers. This style is played when the player serves and then rush to the net to hit a volley. It disturbs the opponent’s concentration when the ball is heading in his or her direction because the player runs near the net. Another purpose of this strategy is to put pressure on the opponent by ending points quickly. This strategy is perfect for fast courts like grass courts, however it is not of much use in tennis courts made of clay. Yes, it is true that this tactic is used less by professional tennis players these days. Ten years ago in 2001, the tactic was being used by every professional tennis player from different stages of their career. 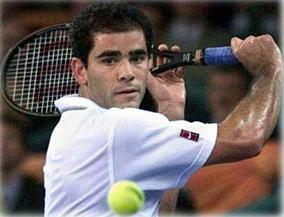 Some top players who were then using this attack were Pete Sampras, Tim Henman, Goran Ivanisevic and Roger Federer. That year, young Roger Federer lost to the serve and volley of Tim Henman, who then lost to Ivansevic’s serve and volley, who managed to defeat Patrick Rafter, another great expert of the tactic. This famous victory led to Ivansevic’s first ever grand slam title which was Wimbledon 2001! Imagine how fans in Wimbledon 2001 would be ‘ooohing’ and ‘aaahing’ the powerful serves and punishing volleys of their favorite tennis players. Now the scenario is totally different. Professional tennis players prefer to be baseline players and treat the north of the court like no man’s land. However, all is not bad. There are some professional tennis players who are currently using this technique when the moment is right, such as the Canadian Tennis player Milos Raonic and American player Ryan Harrison. Also, even if the professionals are not using it, many amateur and student tennis players still love using this shocker tactic at their opponents. Some tennis players believe that this tactic requires a lot of practice. So, you can’t just execute this strategy whenever you please. Also, if you are a great server or volleyer it doesn’t mean that you will be able to successfully demonstrate the tactic whenever you choose. Some tennis players are even blaming the improved technology in racquets for the decline of this strategy. Since technology greatly improved the precision and control of the racquet, surprise tactics like serve and volley are considered useless. This doesn’t mean that this strategy is useless. As a tennis coach, my suggestion is that at the end of the day, if you are serious about using the tactic in court, you should practice as much as you can in every way possible. One way of improving the effectiveness of this strategy is by making your footwork stronger and improving on your serves. My advice is to keep serve and volley as one of your tactic and mix it up in your game play. For example, if you encounter an opponent who is weak in returning your slice serve, you can consider this tactic more frequently in your game. From "Serve and Volley: Is It Still Applicable In Modern Tennis?" To "How To Play Tennis Efficiently And Become A Better Player"